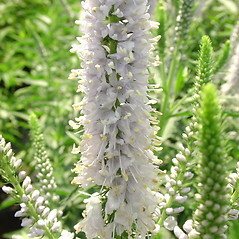 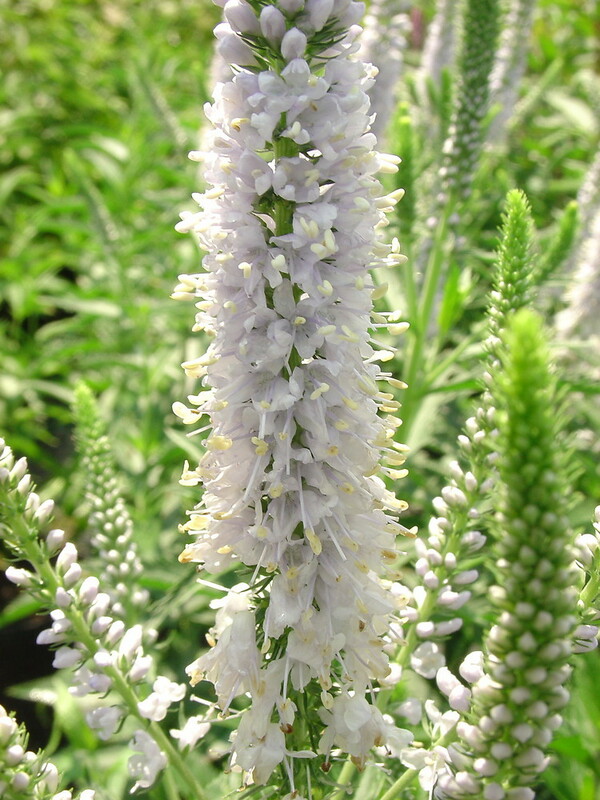 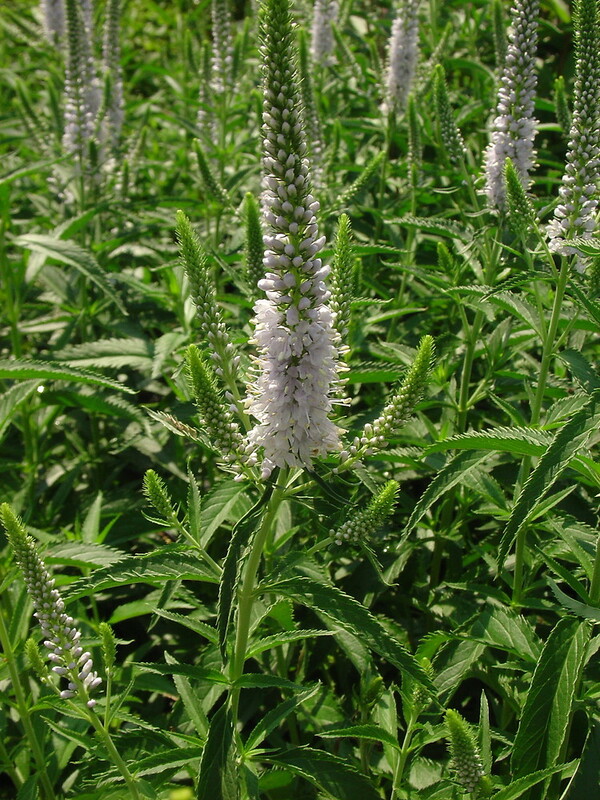 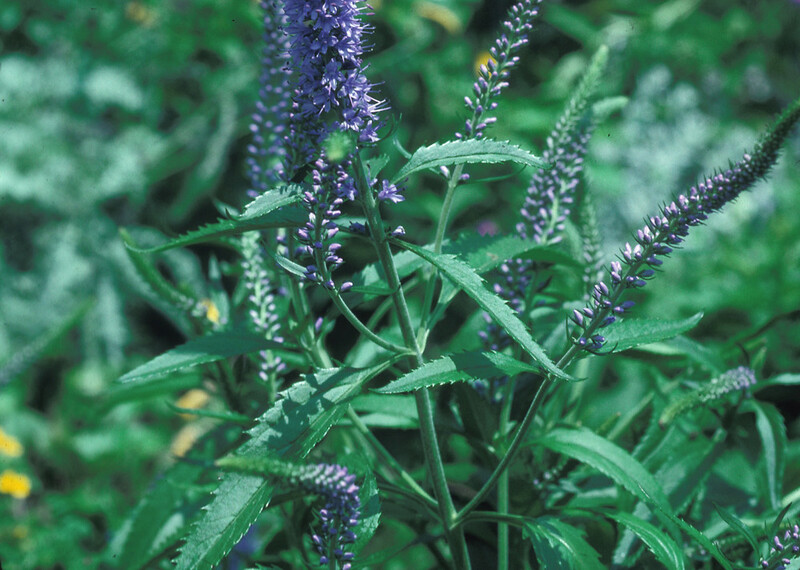 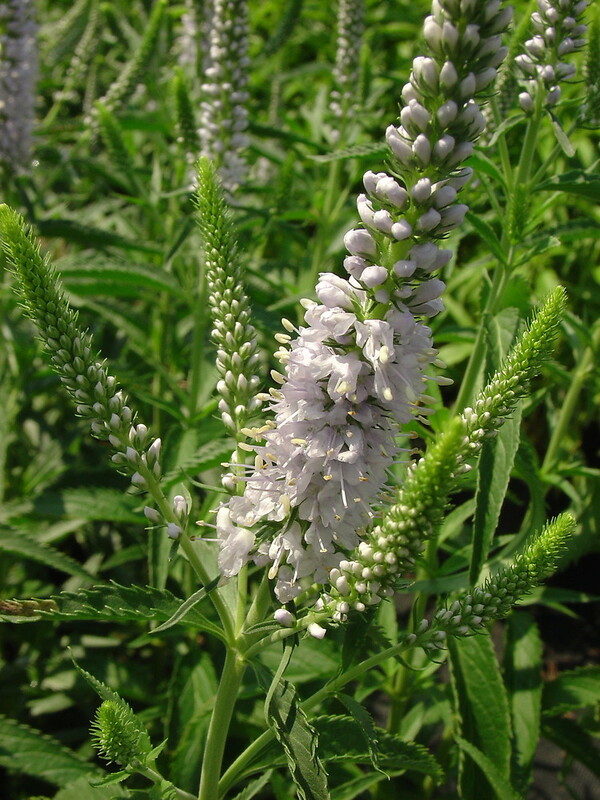 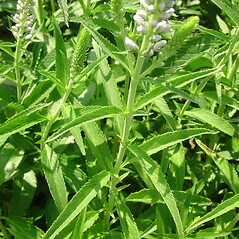 Veronica longifolia is a perennial species native to Europe. 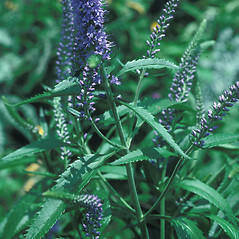 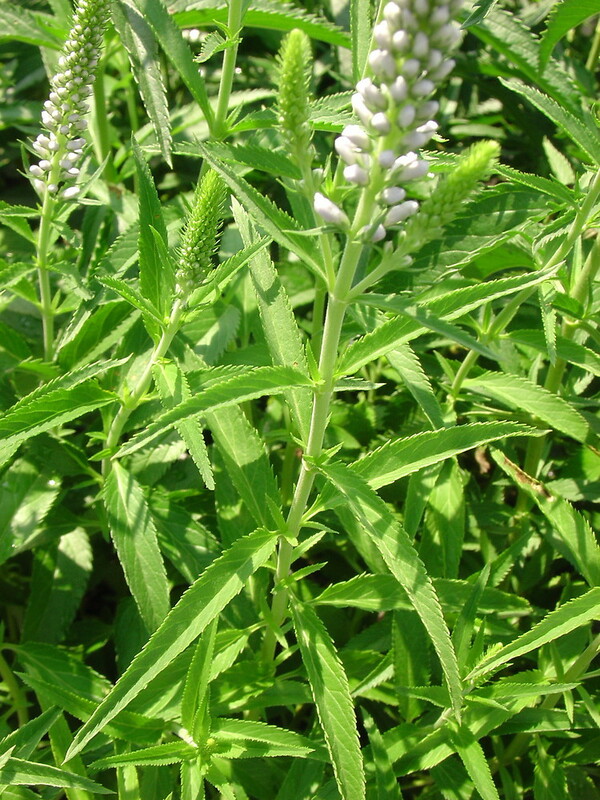 It has been introduced to New England as an escape from cultivation. 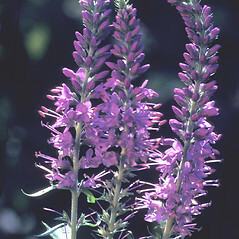 It is grown for its attractive flowers. 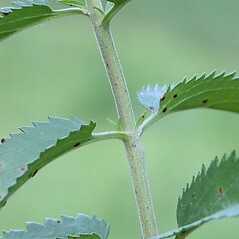 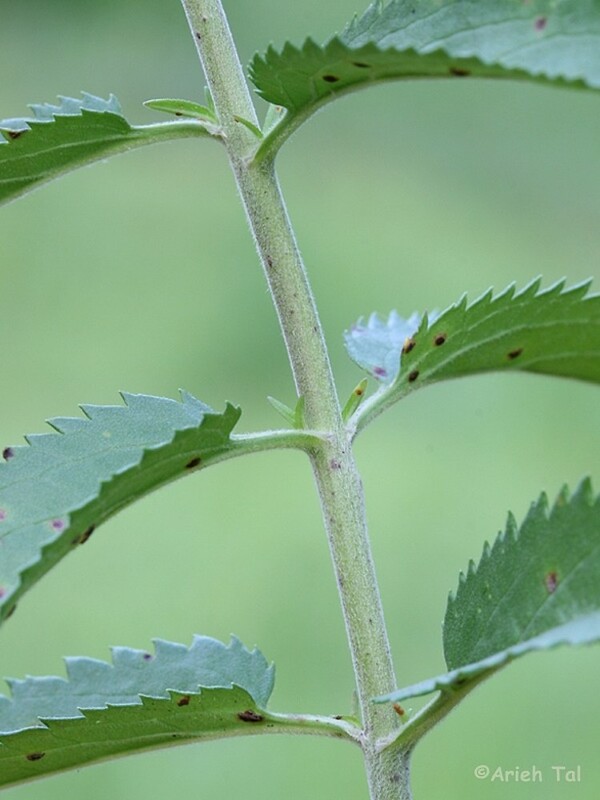 leaves mostly in whorls of 3–7, lobes of the corolla shorter than the basal tube, capsules, before dehiscence, tapering to the apex, not lobed (vs. V. longifolia, with leaves usually opposite, lobes of the corolla longer than the basal tube, and capsules, before dehiscence, emarginate or lobed at the apex). 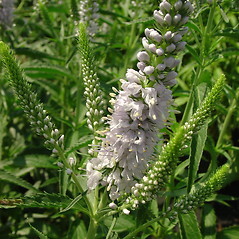 racemes several to many, arranged in a panicle, corolla 7–14 mm in diameter, and stamens not exserted beyond corolla (vs. V. longifolia, with racemes solitary or a few together, not arranged in a panicle, corolla 6–8 mm in diameter, and stamens exserted beyond corolla). 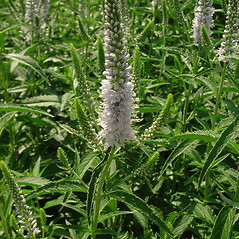 long-leaved speedwell. 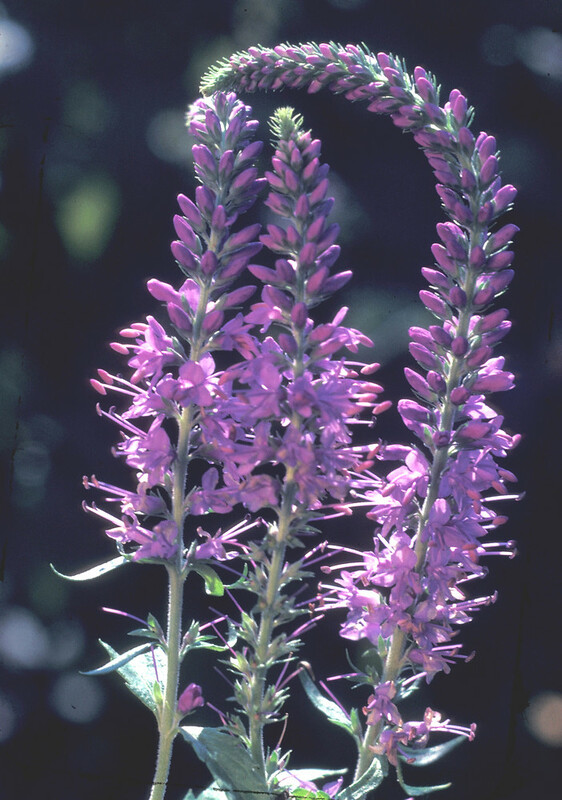 Pseudolysimachion longifolium (L.) Opiz • CT, MA, ME, NH, RI, VT. Fields, roadsides, waste areas, abandoned homesteads, gardens.